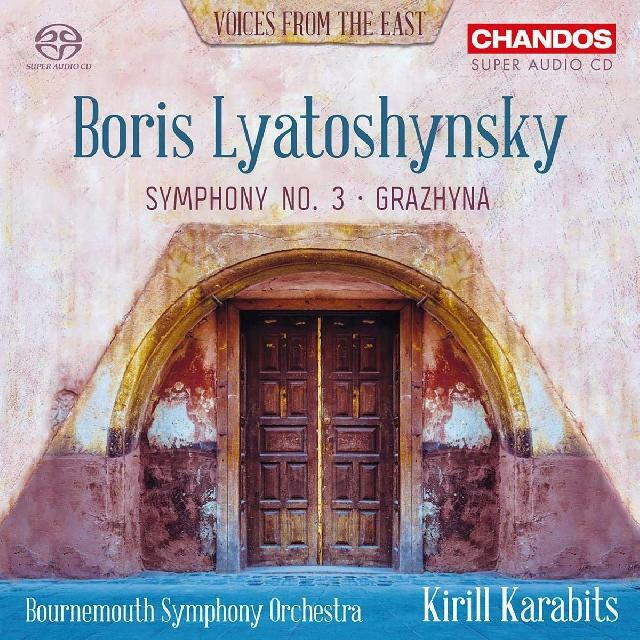 With a fiercely committed Bournemouth Symphony Orchestra in tow, Kirill Karabits makes a powerful claim for the Third Symphony (of five) by his fellow Ukrainian Boris Lyatoshynsky (1895-1968). Composed with the telling subtitle 'Peace Shall Defeat War' in 1951 to mark the anniversary of the October Revolution, it’s a vivid, richly orchestrated work with borrowings from Ukrainian folk tunes that compels attention across its expansive four-movement arc. An opening of brooding threat, turbulent, skittering rhetoric and lowering malevolence gives way to a second movement borne along by constant shifts of tempo, in which a middle section of martial violence is more tranquilly framed. The spirited finale triumphs in a reiteration of a stirring Ukrainian folk tune with bells and brass resounding in celebration. The rousing ‘symphonic ballad’ Grazhyna (1955) is a ripe romantic concoction delivered with utter conviction by Karabits and his South Coast forces. Excellent Super-Audio sound and extensive, informative notes by Andrew Burn.